I have a new book in my knitting library. 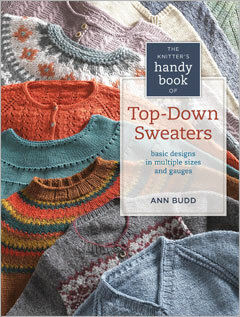 Ann Budd: The Knitter’s Handy Book of Top-Down Sweaters: Basic Designs in Multiple Sizes and Gauges. That is a BIG name for this book. But it is the naming convention that Ann Budd has used for all her books. So why mess with perfection. Once again Ann Budd has hit it out of the park. This book is amazing and beautiful. But most notably, it is practical, solid and oh so helpful. I can find a sweater that I like, find yarn that I like and the two will go together with limitless possibilities. There are several sections of sweaters, seamless yoke, raglan, set-in sleeve and saddle shoulder. All of the patterns are easily adjusted for a series of sizes AND gauges. The book itself is physically set up like the other Ann Budd books too. It has a spiral binding inside of a hard back cover that flops open flat, and the spine will not need to “break” open to view the page you are working on. I cannot recommend this book highly enough. 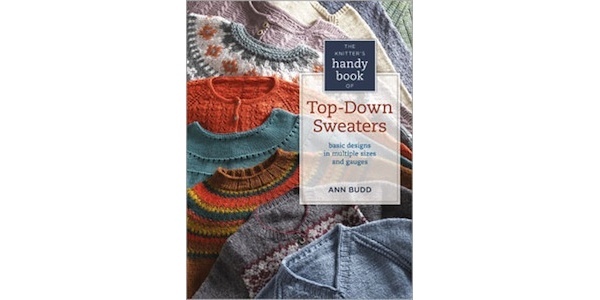 If you are tired of not having sweaters fit or not getting the choice of gauge that you want, this book needs to become part of your library. It is a timeless reference book. Fine Print: I have been given a copy of this book by Interweave Press to review. They have not influenced my review or compensated me in any way. 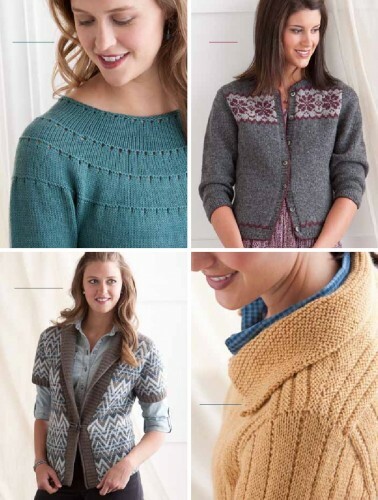 7 years ago by Susi in Books , Knitting , Needlecraft , Reviews | You can follow any responses to this entry through the RSS feed. You can leave a response, or trackback from your own site.